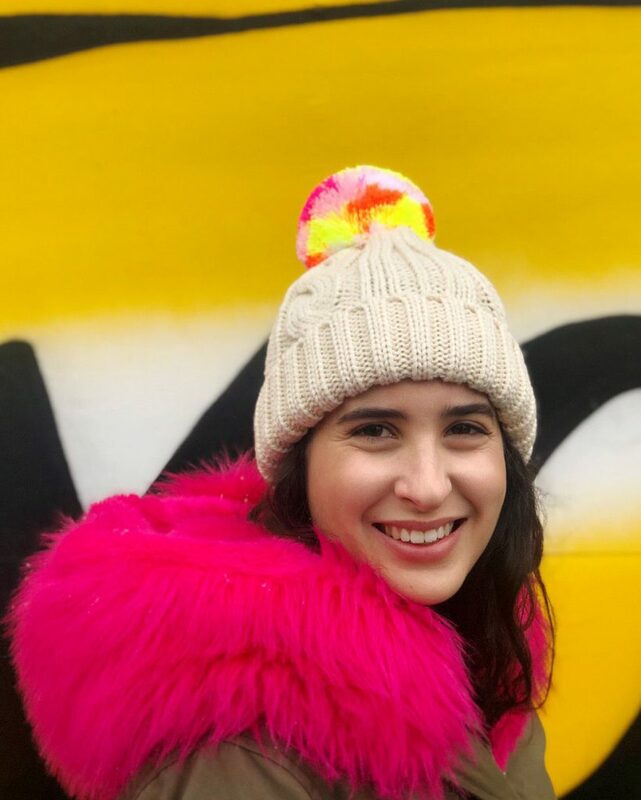 Speaking of cold weather, no winter outfit is complete around these parts without a colorful pom pom beanie to keep your keppie (Yiddish for head) warm. This time last year, I was making and selling these beanies like HOT CAKES, but this year, I’m showing you how to make them yourself! 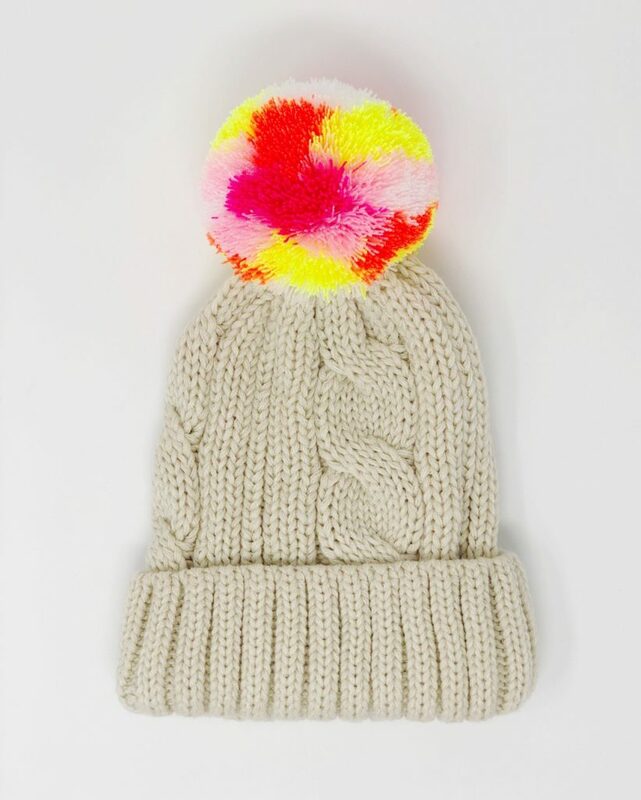 You can get creative mixing Omegacryl yarn colors to create a custom beanie pom perfectly suited for your taste. 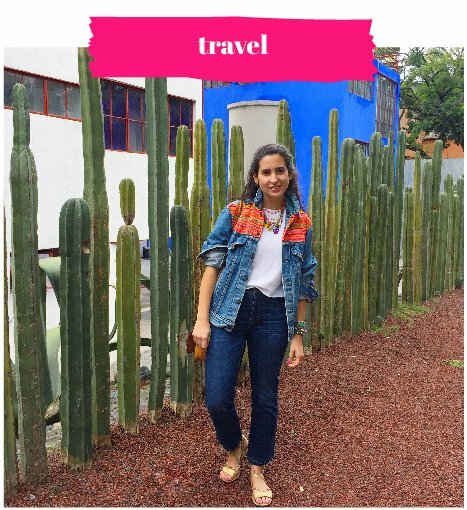 Whether you stick to neutrals, blend bold brights, or two mix the two, you really can’t go wrong! 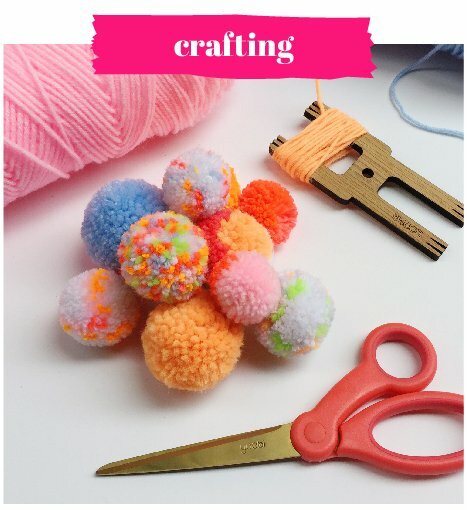 So much of the fun in making these giant fluffy poms is in adding all your colors and seeing the big reveal as you trim it open. 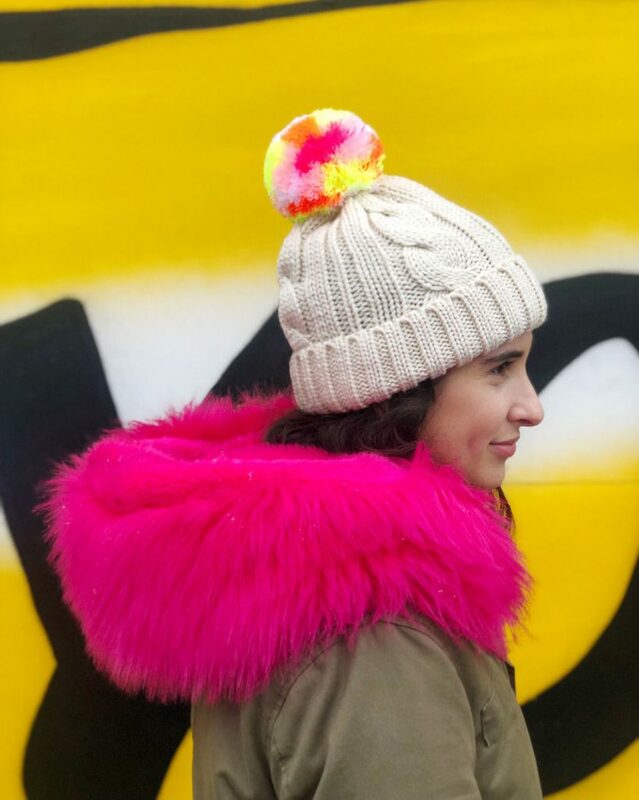 The pom pom shown in this tutorial is a color-block pattern, but you can make your beanie pom any pattern you like! Sprinkled, speckled and striped all look just as awesome. 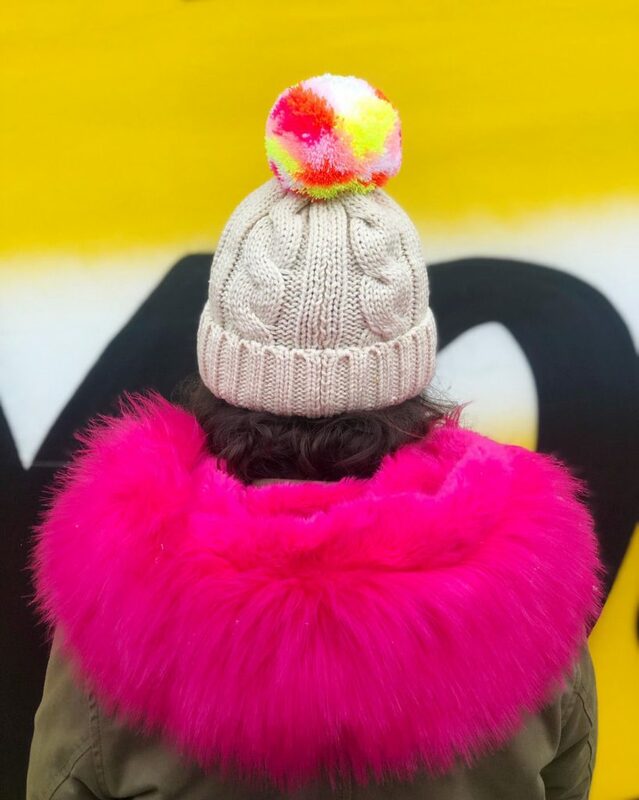 You can learn these pom pom patterns and more in our online course How to Master Pom Poms & Tassels. 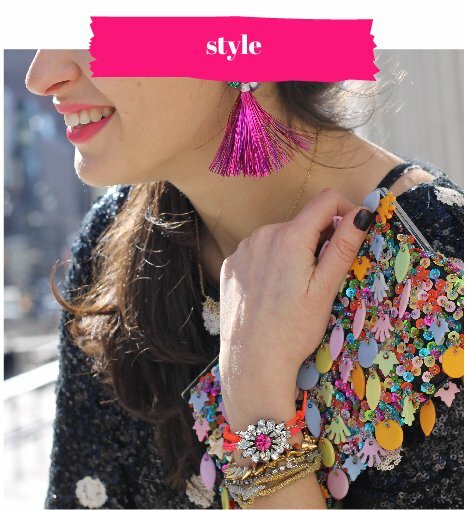 *Indicates item included in our Pom Pom & Tassel DIY Kits! Pro Tip: Use two separate scissors for cutting yarn vs. cutting everything else. 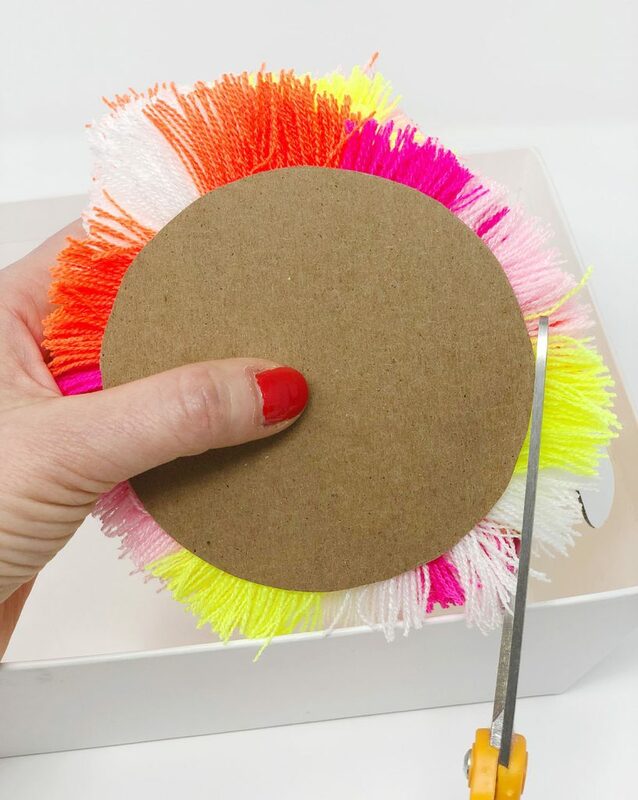 Having one scissor used only for yarn ensures your pom pom trimming scissors stay sharp. You can change up the size as you like, just be sure that the trim guide is the same width or smaller than the cardboard rectangle, otherwise your pom will have short patches. 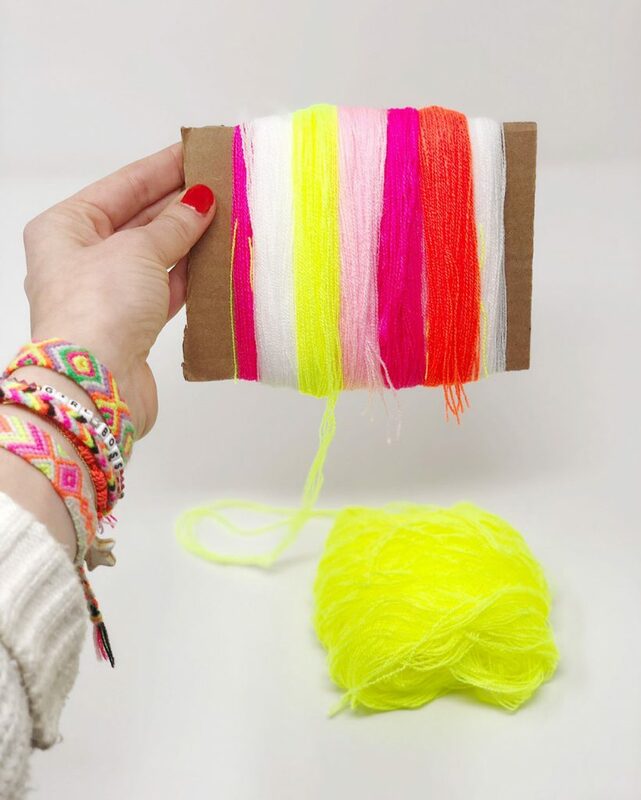 Now that you have your tools, wrap yarn around the narrow side of your cardboard rectangle in whatever pattern you like! 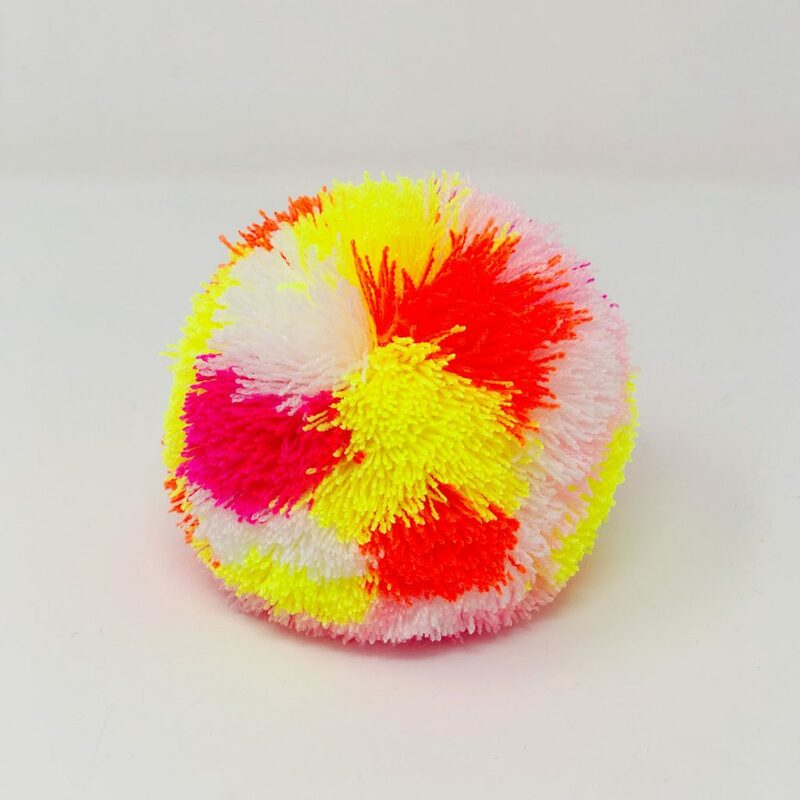 You’ll want to wrap approximately 600 revolutions for an adult pom and 500 for a kids pom. Remember, the more you wrap, the denser your pom will be, and vice versa. 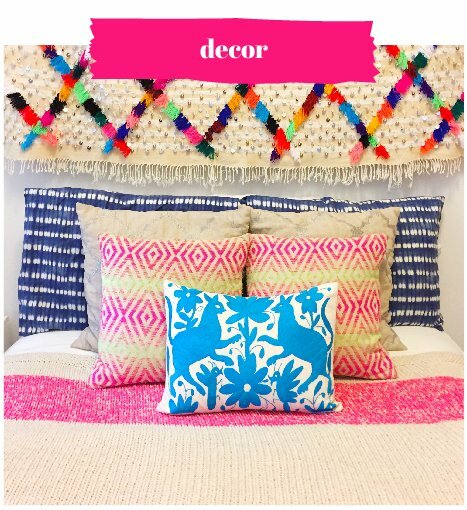 You can find instructions for all of our favorite pom pom patterns in our online course How to Master Pom Poms & Tassels! 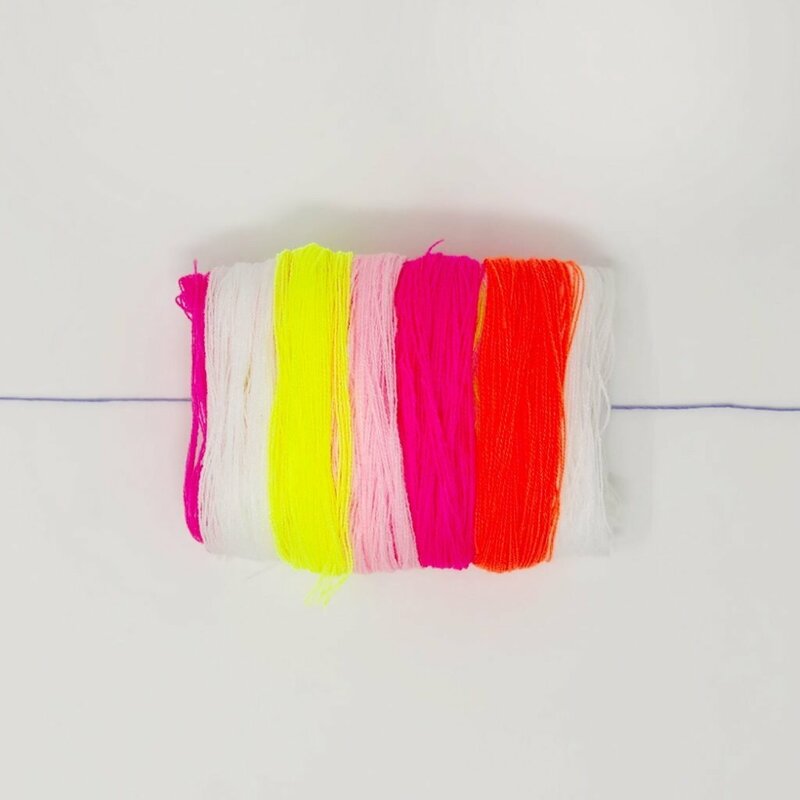 Once you’re done wrapping all your yarn in your desired pattern or single color, lay an 18″ strand of embroidery floss on your work surface. Next, carefully slide your yarn onto the middle of the embroidery floss. If you bend your cardboard lengthwise, the yarn will slide off more easily. 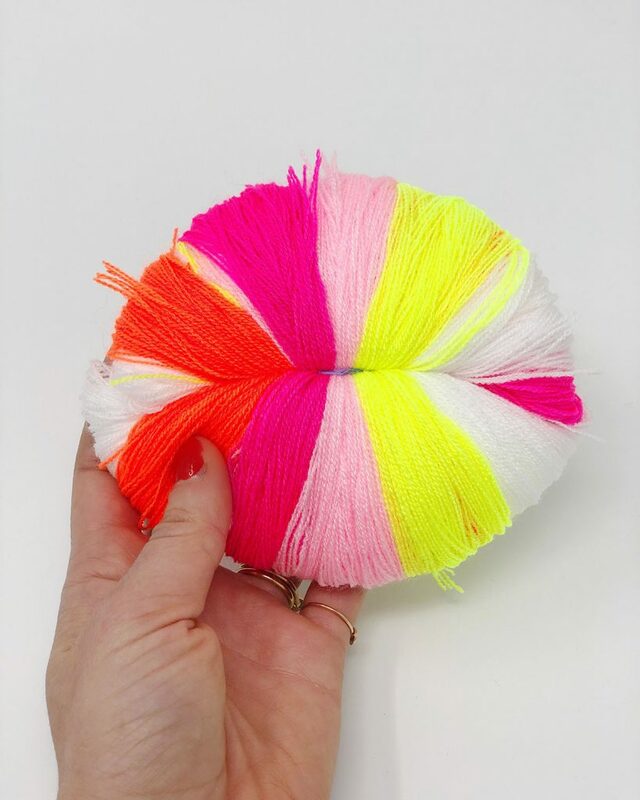 Follow the steps in our pom pom video lesson to tie your pom pom into a large pom pom pancake. Be sure the embroidery floss is centered on your pancake before you tighten! 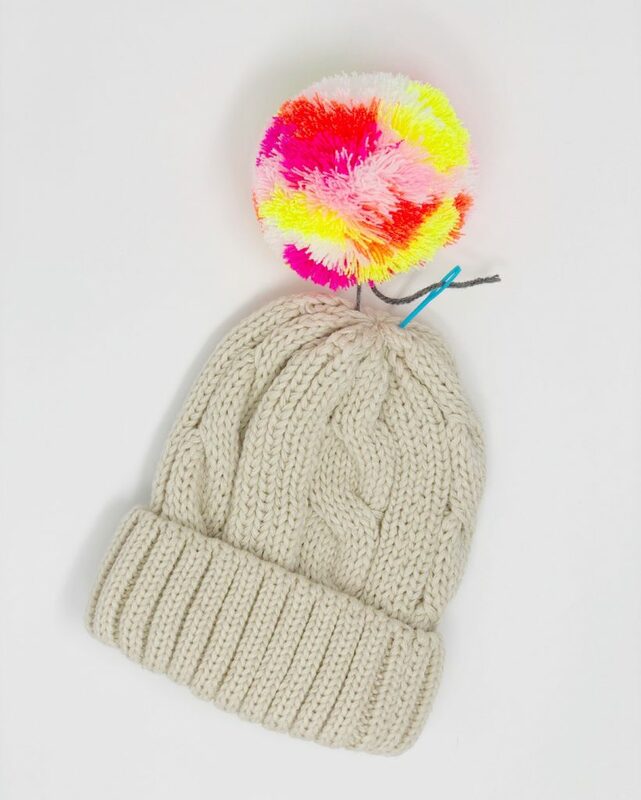 To attach your pom pom to your beanie, cut a piece of worsted weight yarn about 10″ long. 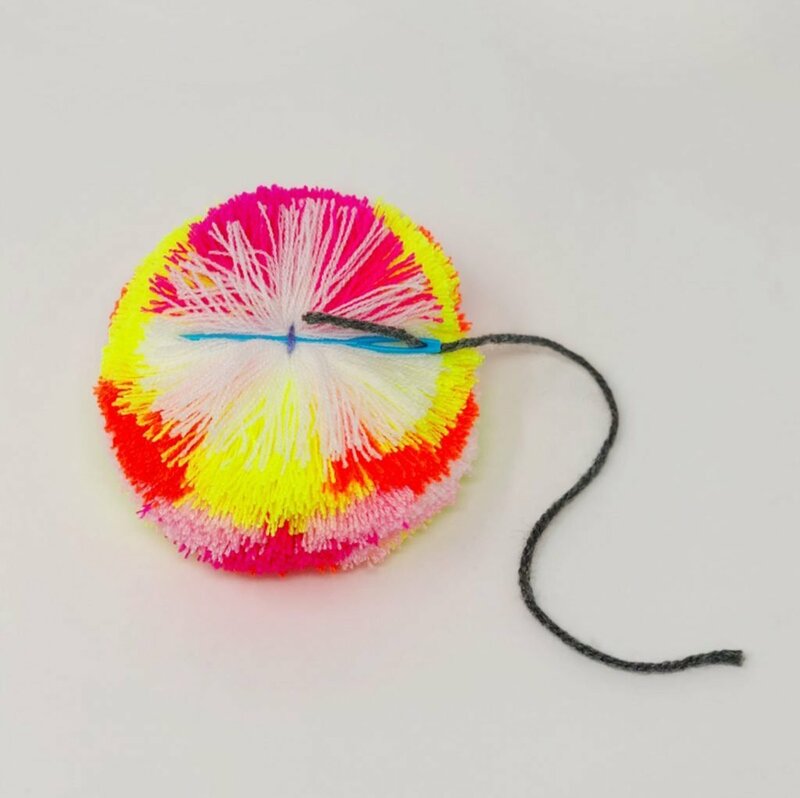 Using the plastic needle, thread the worsted weight yarn under the interior string of the pom pom. Pull yarn through so that the pom pom is in the center of it. Thread each end of yarn into the top of the beanie entering at different points but so that they go into the interior of the beanie close together. Tie the two ends of the yarn together tightly 2-3 times until you feel pom pom is secure. 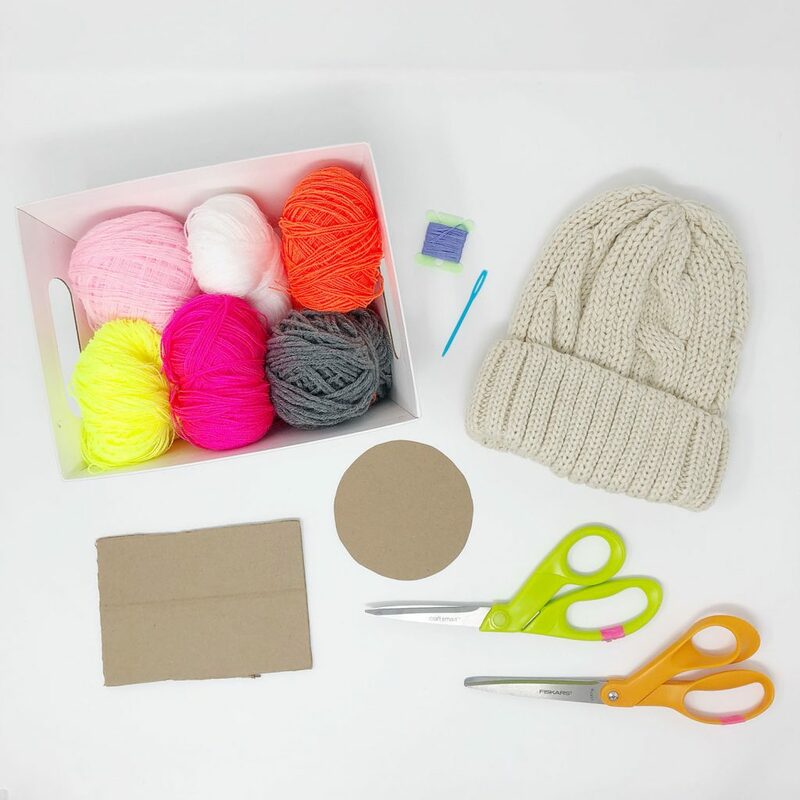 Trim off excess yarn from the inside of your beanie. 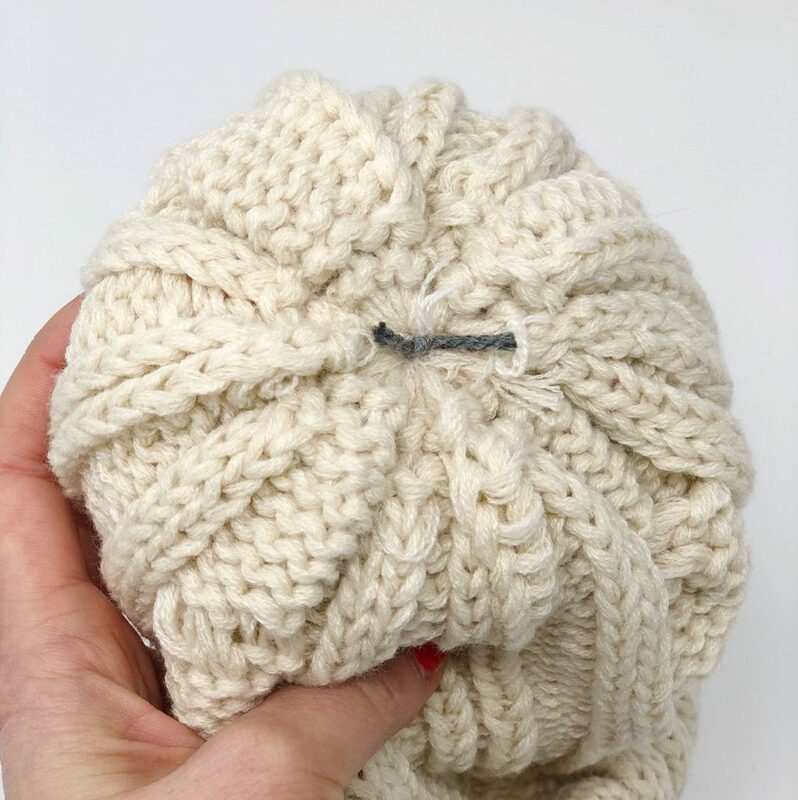 When you’d like to wash your beanie, simply snip the worsted weight yarn to remove the pom, wash your beanie as directed on the care tag, then reattach it using a fresh piece of worsted weight yarn. That’s it! 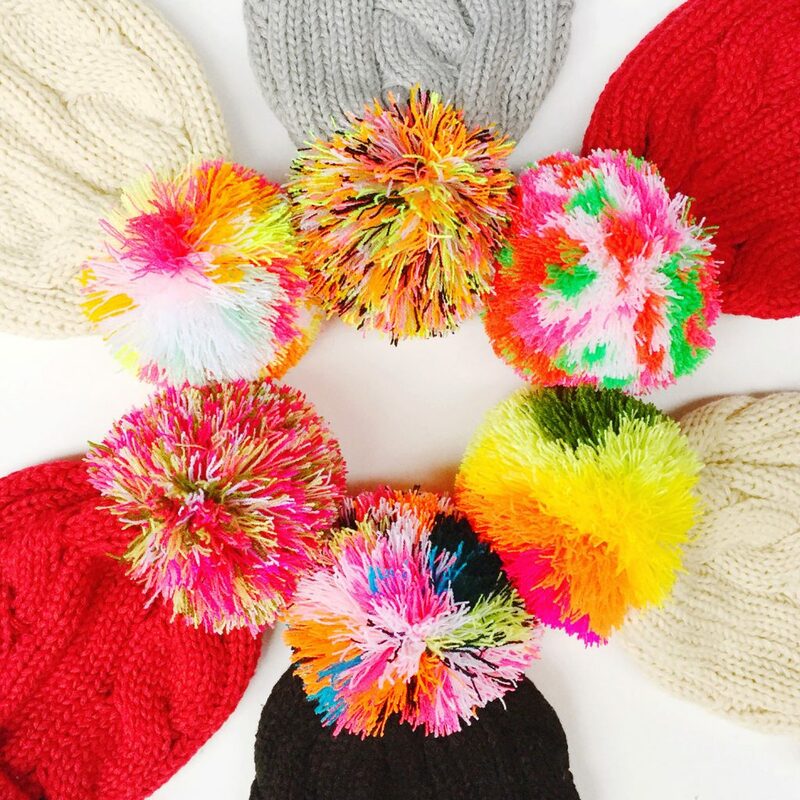 So fun, easy and endless color and pattern opportunities for the most gorgeous beanie poms around! 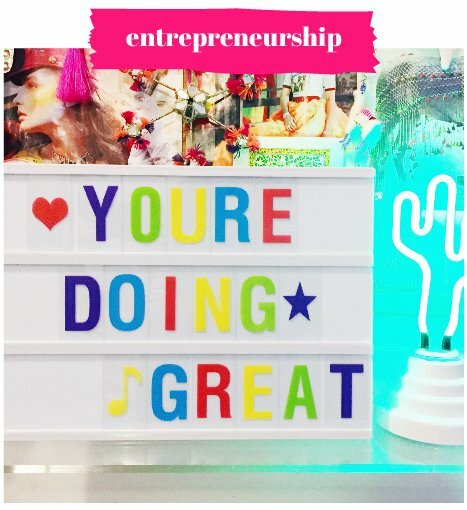 Your friends are definitely going to ask you to make them one — but better yet, share the crafty love and show them how to make one themselves! It’s such a fun group activity for winter. Have a nice and cozy weekend, everyone!